So – before I hit the questions, I thought I’d give you my impressions of the book. I liked the theme of the book and the way in which she took the reader through the development of the mysterious. However, she could have covered it all, included all the mystery and horror without the terrible, detailed descriptions. There was a lot of “shock value” writing and I hate that. It would be a fantastic book that I would recommend to others if it didn’t include that junk. Without that, I enjoyed it a lot. That awful description for shock came in pretty significantly about halfway through and really, ruined the rest of the book for me. Too bad, because I was truly enjoying and I don’t normally go for these kinds of books. Maybe because they all turn to the descriptions intended only for tantalization and such. 1 – Both Heidi’s and Willow’s actions are fueled by their experiences with deep personal tragedy. Did you find them to be sympathetic characters? Are their offenses justified? Do you think they should be held responsible? Wow. Tough question. Yes and no to the sympathetic characters. I think in the beginning Heidi is but as she travels the path of the story line, she becomes less so. Willow is a no. She goes the other way and does become more sympathetic throughout, I think. But there is never justification for the offenses committed. Right is right and wrong is wrong. You may be able to understand their choices but that doesn’t make them justifiable. And yes, they should both be held responsible for their actions. We can receive forgiveness but that does not diminish the consequences of out actions. 2 – Who do you think is most to blame for Willow’s abuse in her foster home: Joseph, the caseworker Amber Adler, or someone else? If you were in Willow’s shoes, would you have tried to do something differently to remedy the situation? The only person responsible for the abuse is the abuser. He is the one who should be held fully responsible. The caseworker should perhaps be held responsible for not doing all that she was required to do which might have exposed the abuse. But she is not responsible for the abuse. As for whether I would have done something different in Willow’s position, I don’t know. I would like to think I would but I have never been in that situation so I don’t know. 3 – Who is the hero in Pretty Baby, and who is the victim? Does this change throughout the novel? Um – leading question here. Generally, I’d say Heidi is the hero and Willow the victim, it changes 3/4 of the way through when Willow leaves, and then both are victims at the end. But that is just simplifying it all to fit the parameters that books have heros and victims. Really, this one has neither, in my opinion. This one has flawed characters who strive to figure out their lives the best they can. 4 – What do you think of Chris’s character? Is he a good husband? How does he contribute to the events that unfold in the novel? What could he have done to prevent Heidi’s downfall? Hate this question! Chris is a good man caught in a situation that he does not have any control over. He loves his family and wants to do what is best for them. However, Heidi is a strong-minded woman who doesn’t really show her husband the respect he is due. When she refuses to listen to him and the wisdom he tries to share with her, she leaves him in a vulnerable position with no respect and no ability to change things. The only contribution I see Chris making to the events of the book is that he is not stronger in stating what needs to be done and standing behind his intuition. Perhaps if he has done that when Heidi was sick years and years ago, things might be different and Heidi would not have the breakdown that she does. But, hindsight is 20/20 and when someone refuses help, it is terribly difficult to make them get it. 5 – Are Willow’s feelings for Matthew genuine, or a result of having no one else in her life to trust? Do you foresee a time in their lives when Willow and Matthew will reunite, or would Willow be better off making a fresh start? There is not really enough of a development of this relationship to know if they are genuine or not. Since the friendship was developing during the abuse and then they had to flee different directions, it cannot be true love. She definitely cares for him and he about her. But, without having time to learn about each other without the overhang of abuse and now murder, there is no telling. I don’t believe they could ever reunite because it would put Willow into a difficult situation since Matthew is wanted. I believe that he definitely put some light into her life and will continue to do so as long as he can. 6 – Are Zoe’s dramatics typical of a preteen girl, or is she herself a character on the brink of becoming unhinged? Does her own behavior contribute to Heidi’s undoing? Why or why not? I think Zoe was written as a “typical” preteen girl but that doesn’t make it acceptable and I hate seeing these stereotypes continued. I don’t think you can put any of the blame for Heidi’s breakdown on Zoe’s shoulders. Her mother doesn’t do much to help her out and Zoe is doing the best she can with the stressed family situation they have, even before Willow comes into the picture. 7 – Heidi goes above and beyond to help Willow, a complete stranger. What would you have done in such a situation? How much are you willing to sacrifice to help someone you don’t know? How far is too far? I would not have done what Heidi did. I think this is actually a window into her brokenness and a hint at the coming issues. I hope that if I saw someone in distress I would know what to do. I can say all sorts of things about what I am willing to do for someone but until it is on the line, I don’t truly know. I would hope I would reach out to someone truly in need. I’ll be honest though – I am cynical when I see folks asking for help in public places and I don’t typically respond. I am concerned about safety since I generally have my girls with me. Ignoring Chris’ statements and concerns and intuition is too far. Heidi should have obeyed her husband and taken him and Zoe into consideration. She really doesn’t seem to have done that. 8 – What do you think is the significance of the title Pretty Baby? I think the title is referring to the sweet little baby caught in the middle of the mess, both the one Willow brings with her and the one (and others hoped for) that Heidi’s treatment claimed the life of. Both children are “pretty” in their representation of all innocent children and their lives. This also makes it a reference to Willow and her little sister and their lost childhood together. 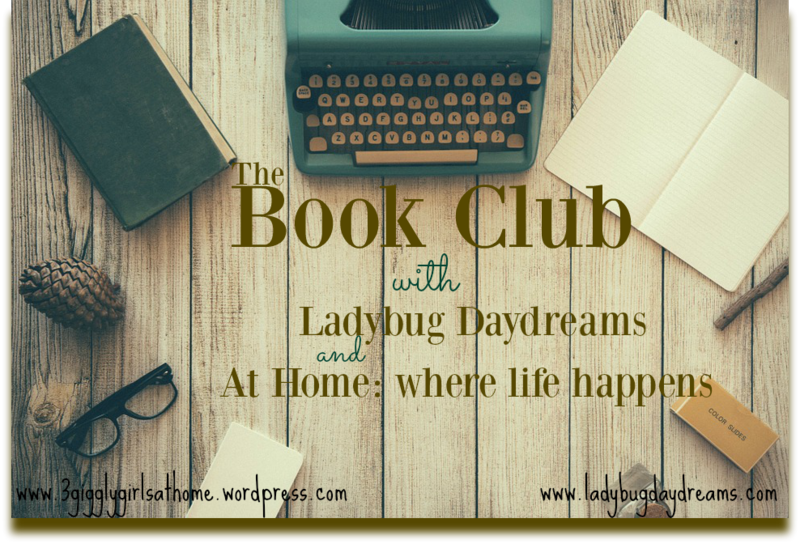 I hope you have enjoyed the first month of Book Club with At Home: where life happens and Ladybug Daydreams. Find the discussion on Ladybug Daydreams here. 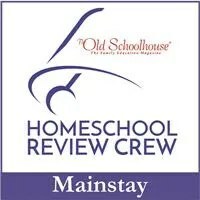 If you have written a post and are linking up with us, please add the button to your post and link up below. Next month we are reading The Martian. The questions can be found here. There are quite a few questions but don’t feel obligated to answer all of them. Please join us. hmm… from what I seen of your and wendy’s review doesn’t sound like a book for me. The imagery for imagery sake would turn me off too.